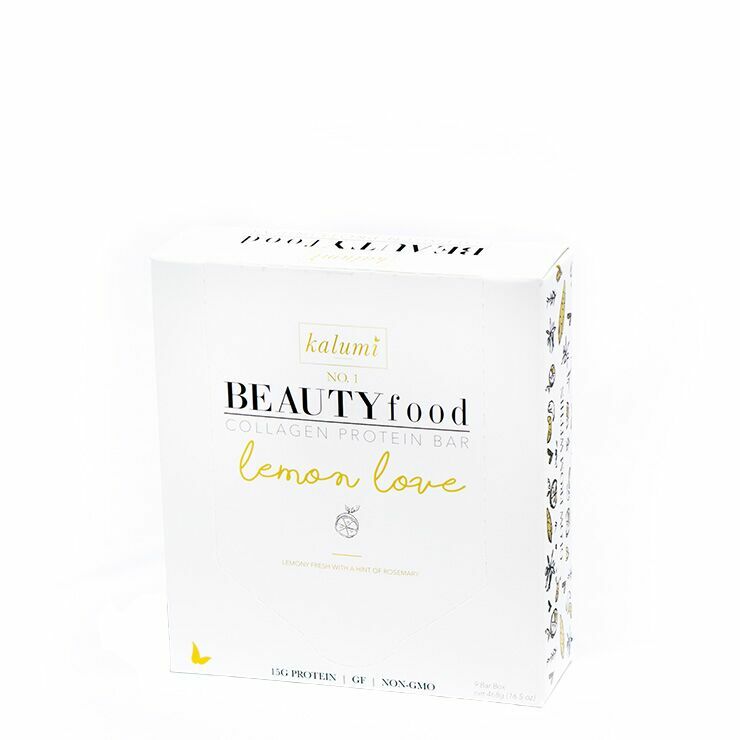 Sweet and savory, Kalumi Beauty Lemon Love Marine Collagen Bar makes an ideal snack or breakfast food. 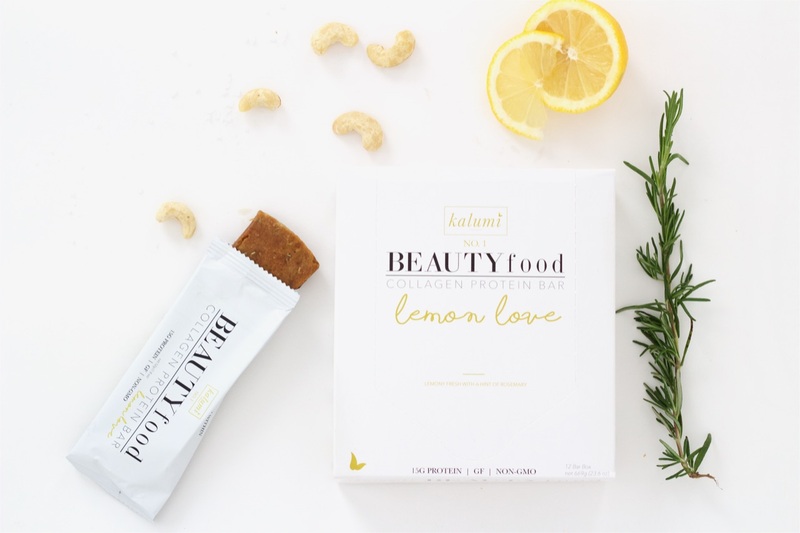 A zesty flavor that’s not overly sweet, this bar is packed with 12 grams of marine collagen to make skin feel hydrated and combat the appearance of aging and uneven skin tone. Lemon oil offers a cleansing and purifying feel to the system, perfect for those dealing with digestive issues. A delicious vanilla flavor blends with tasty rosemary and a pinch of sea salt. 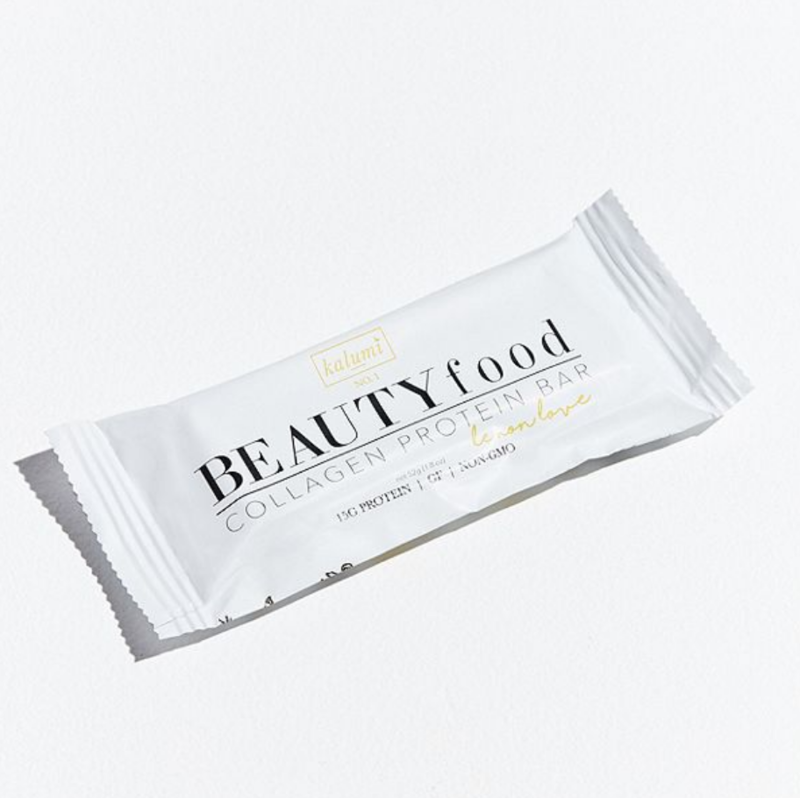 Stow a collagen protein bar in your bag for nourishment on the go. Cashew, Hydrolyzed Marine Collagen Peptides, Yacon Syrup, Sweet Potato, Cocoa Butter, Tapioca, Vanilla, Rosemary, Lemon, Sea Salt.